Just because you pay more, doesn’t mean you actually get more. In fact, our badges provide more features and better options, while being priced cheaper than all other trust badge competitors offering similar business badges. Why spend up to 95% more when you can try our badges risk-free? 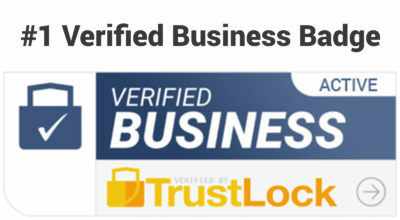 We strive to give our Verified Business subscribers the best value possible by providing more badge designs and options than any other trust badge company offering verifications on the market today. Our other badge designs use the similar phraseology and concepts used in the success of our original badge. Our badge options give you the flexibility of choosing a badge that fits perfectly with your specific landing page or website! Perceived security is a huge deal these days - especially in regards to SSL. 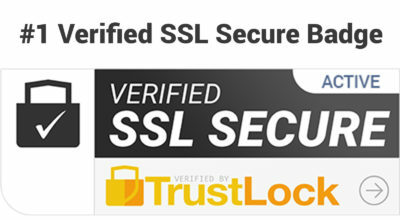 When you display the SSL badge your visitors will know that your site has been actively accessed via an SSL (Secure Socket Layer) connection. Since security is such an internet hot-topic, this badge helps your visitors know that you take visitors security seriously through an SSL secured connection. Most shoppers won't take the time to look up in the browser and see if they're really connected via HTTPS / SSL, but this badge does that for them when you use the Java embedded code. Our Java-based SSL Verification manually verifies the SSL connection on each page load within the browser, so the badge function alone will help increase visitors visualize security versus just perceived security alone. 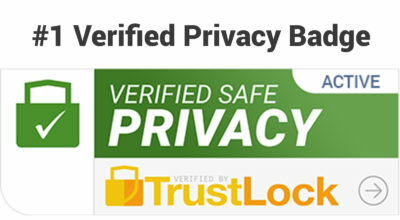 When the Verified SSL Secure badge by TrustLock is strategically placed on landing pages and footers, it can greatly increase perceived security which is hugely important in today's online world. When your shoppers feel comfortable with the security measures you've put in place, they'll be much more likely to enter credit card details, or purchase products or services!